First off, a HUGE thank you to the following people for making this object possible. NixNivis for permitting cloning of her Starship Mobile to which this mobile takes its animation. Also for the tremendous amount of time and help she gave personally. Gayars for providing the owl textures and her own recolours. FracturedMoonlight for guidance in meshing. This mobile slowly rotates using the pie menu options, "Start Spinning" and "Stop Spinning". It is best placed using the "setquartertileplacement on" cheat. Found under Miscellaneous > Children for 80 simoleans. Recolours can be downloaded separately. Included are pink, purple, red and white by me and lavender, aqua green and turquoise by Gayars. Blue is the owls default colour. GIMP, TinyJPG.com, Milkshape, The Compressorizer and of course, SimPE. 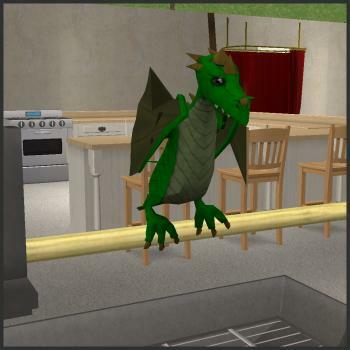 As promised I have redone the TS3 Dragon, posted by withered lilies here. I did create and include 4 of the morphs, Milk Shape only allow 4 morphs. I didn't care for the cage she had so I did redo that to be an open version of the bird cage and it does pull the textures from the EA cage. To stock the cage it is $200 and the cage is the same price as the EA version $500. I did set the bite option to a lower chance and the mood setting should be better. Credits to witheredlilies for all the work she put into this project. Credits to LilSister for sharing the link and Charity322 for the request. I created these in response to a request from NeverForsaken, Thank NeverForsaken for the request! 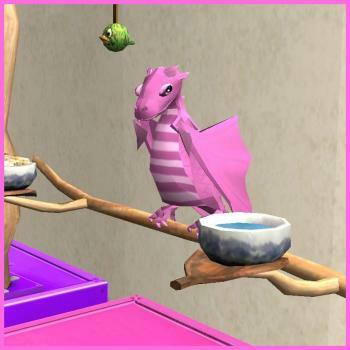 The cage is from Sim 3 converted to work for these dragons, I have set the food to cost a lot less and filling is not needed as often. Dragon cost $200 to stock. Very Low chance your sims will be bit. You find the cage under Misc/Pets for $500. I added 3 deco slots on the bottom shelf of the cage. Credits to NeverForsaken for the idea and everyone who helped with testing and support. 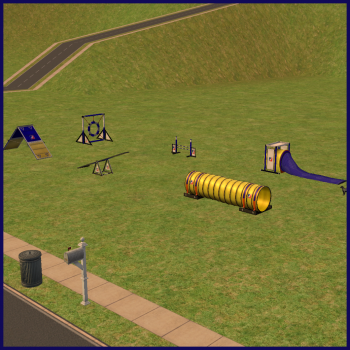 Pet Story Dog Training Items converted Sims 2 items. All items work quite similar. Known Issues: The tunnels, do not work well with the large dog. The collapsible tunnel, really does not work well, but I am a bit tired of working on it. I do not seem to be able to find a solution to the issues. If I do, I will update them at a later date. Be sure to click the follow option so you will be notified of any updates. Credits to INateYou for the request and to everyone who helped with testing especially Charity. Thank you! I had to do an update today November 11, 2014, as LilSister found an issue with my effects, it seems that effect is no longer a part of the Ultimate Edition, so I found a new one. I also made changes to the hatchet, please be sure you do not have any copies of the older version in your downloads folder. Thanks to LilSister for testing and finding the issues! I am very sorry for any inconvenience, but I do like to fix things that are not right. I am always working to improve my skills. 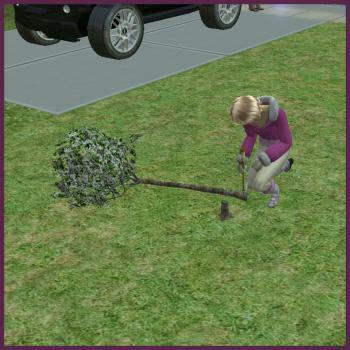 Thanks to a request for Alraris, I have updated all of my chopping trees to allow for Sims to sell the logs in their businesses. So, I decided to create a smaller tree to go allow with my previous trees. When a Sims sells the logs in a business setting, they will need to have more in their inventory to restock. I have added a sell option to the logs to allow Sims to sell them outright also. When Non Owners chop the tree at a business, logs will go into the business owners inventory. I have made several changes to all of the trees to fix some issues that I believe will make them work better. You find this item under Knowledge/Misc for $50. Sims chop wood to gain body skill, enthusiasm in nature and fun, they also, earn logs which go into their inventory, each set of logs may be sold for $50. Their energy, and hygiene are reduced while chopping the wood. Body temp increase. After 8 times of chopping wood, the fallen tree will disappear. I created this in response to a request from INateYou. Thanks for the request INateYou. 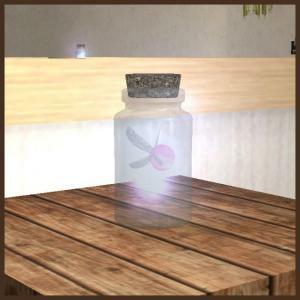 I used a mesh by honeybee at MTS and thanks to Nonni for finding this. Click Here for original mesh. I did make some changes to the mesh. Credits to Honeybee for the mesh. Credits to Stefy for finding Maylins animated rocker, and to Maylin for that same rocker. Click Here for her rocker, scroll down the page a ways to find it. I did recode this to give the sims fun and comfort and they will rock until their needs get low or you cancel the action. Sims must be seated for the rock option to be available. Textures are pulled from my driftwood set and require at least the living room chair for a texture. Click Here to download that set. The rocking chair is found under living room chairs for $50. I created this in response to a request from someone201, back in August of 2007, which was before I understood assignment of vertices. I have now update it to work properly as a vehicle. It is found under vehicles for $5000. The lights are a bit strange, but needed for night time driving. I have been working on other objects that others have created, and realized maybe I should work on some of my own too. I created this several years ago, and now that I have learned a lot more about coding, and because LilSister brought it to my attention, that there were issues with the original version. I have done a major overhaul on it. The sing along option has been totally redone and checks to be sure you have Free Time installed before you are allowed to use that option. The dance option should work for any expansion combination you might have. The turn on/off options are not longer autonomous. Sims are able to turn it on no matter where they are on the lot. In other words they don't have to walk over the the bear to turn it on/off. I test to be sure it is turned on, before the sing along and/or dance options become available options. The sound volume for the nursery rhyme music is lower, I found it overshadowed the toddler's singing. Toddlers are able to select an option of gaining 90% of their singing skill learned, but only if they do not already have 90% or above of the skill. Toddlers gain fun, social, learn Charisma and Enthusiasm for Music with the sing along option. I also, fixed up some issues with the mesh. The mesh was an EA sculpture, that I reduced in size, moved it's arms, added joints and assigned sections to those joints. To make it animatable. Textures are pulled from the EA sculpture. This is found with other radios, under electronics, for $99. Credits' To LilSister for telling me about the issues and for testing. Be sure you remove any older version of this bear from your downloads folder, and both files found in the folder are needed for this to work properly. I created this per a request from Broomhilda61. Thanks for the request Broomhilda! It works quite similar to a regular car and is found with cars for $20,000. It does require a driveway...sorry I could not get it to work without one. 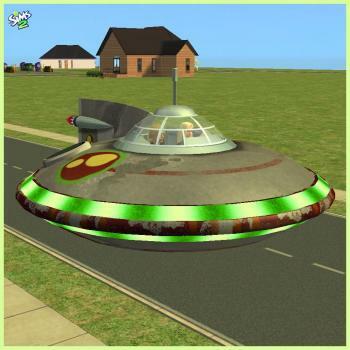 I did incorporate the spaceship sounds, but some of the car sounds still exist. I did remove the blue lighting looking portion so that you are able to see the sims sitting in it. Updated June 29, 2014; to reduce the sewing time, for all items. Thanks to LilSister's post. July 2, 2014: Added Medium Speed which takes the Sims about an hour to complete the larger items. File name BecksSewingMachineFT-MediumSpeed.zip. The file BecksSewingMachineFT.zip is a very fast mode. I created this in response to a request from LilSister. The mesh is by cokenasmile and is posted here. I have cut in half, the length of time it takes for Sims to earn the sewing badges, and the time it takes to create the items they sew. I did make changes to the original mesh and created a recolor. It is found under knowledge/misc for $950. 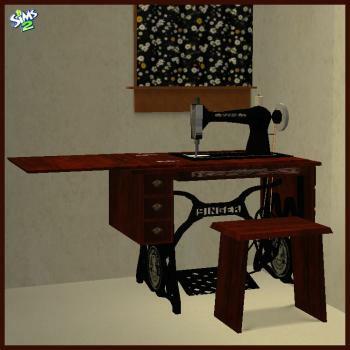 Known issues: When sewing an outfit you are not able to choose what you want to sew, it will however, create a bundle of clothing that you may sell, and places it in the Sims inventory. I did not test this in a business situation, so if you do find issues...please do let me know. All files within the zip are needed in order to make this work. There is also a separate matching chair that is found under dining chairs for $25, which pulls it's textures from the sewing machine. I found some issues that generated an error, which may not have been seen if your don't play with testingcheats enabled. I also, tested this with an infant and it is in fact usable by infants too. It's been so many years since I created the first version, it's hard to remember things. I had a request to have my swing use the textures from the crib. It works the same as my older version, only the textures are pulled from the cheap crib. I didn't create images of all of the textures, but any recolors you have of the crib will also work for this swing. If is found with the child items for $50. 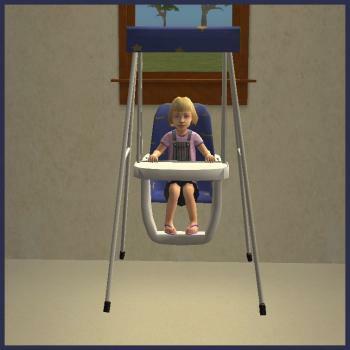 Known issue: If the adult sims removes the child autonomously, the swing does not stop. There is however, an option to stop it manually. 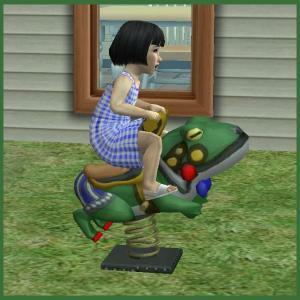 This is a spring toy from the S3 package "Le Cirque Celebration" that I have converted to work for TS2. 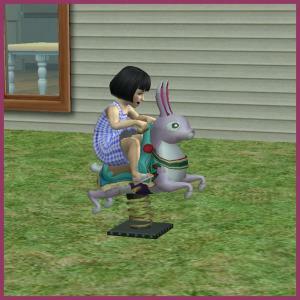 Toddlers do not need an adult to place them on and they gain body skills while riding it. 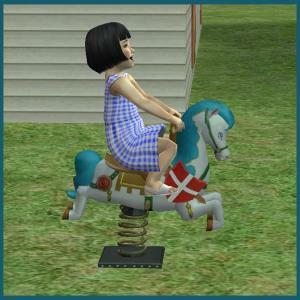 It also, has my animation for the toddler to get on and the the spring toy is animated the same as the ts2 spring toy, or very similar. Found under misc/child for $80. Found under general/child for $80. I have added an option that allows you to purchase the EA Penguins, and have included an object mod that allows them to stay on your lot for quite a long time. I have yet to have one leave. They enter your lot from the sidewalk from either end of your lot, and it does take a couple of seconds for them to appear. 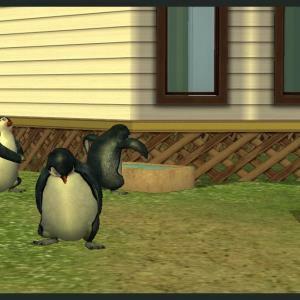 Known Issues: The pet animations for my version of the penguins is still off. I have made the baby versions a bit larger and they now look a lot better, at least in my opinion. If you have a scarecrow on your lot my version will talk to it and gain social. I may add the snowman to that later. I have also, made changes to the water trough, if you happen to have the pig trough in your downloads the new version may cause a conflict. This is a test version for ya all to try out. Purchase the Purchase sign under Misc/Pets for $2 then purchase your penguins. The pig water trough is used for now for their food. Mesh and textures are by FracturedMoonlight the rest is by myself. This lamp is found under table lamps for $50. 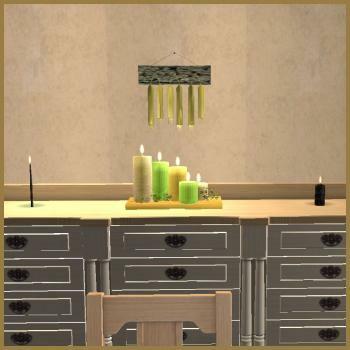 Sims will max comfort when using this lamp and they have a view option, that works similar to the painting view option. I have included a pink recolor of the fairy. Note: If you do not have Apartment Life you will not have the glowing effect. I created these in response to a request from FractureMoonlight. 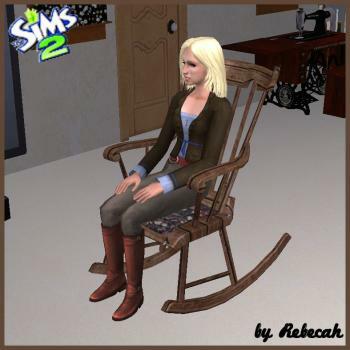 Sims gain enthusiasm for Music and Creativity skills, they also have an option to play for money sitting or standing. They earn $20 each time they use this option. Sims also are able to dance to the music. (Custom sounds included). There are two different flutes, but they both do pretty much the same thing. They are found under Knowledge/Creativity for $50 each. Please note these are my custom animations and they are not perfect, if you are unhappy with them please don't use the item. I do the best I can. I had a request for more animals, and this is on I've been working on for a couple of years. It's not perfect, but I do not know of any problems with it. These work similar to my sheep. The leopards use the pig food and water trough for their feed, (included in the zip file) only because I have so many different troughs, that I really didn't want to add another one. They do not stay still long enough for the pet option, so I have made that non autonomous, and they do not need social to survive. There is a cub version which will grow up after three days. 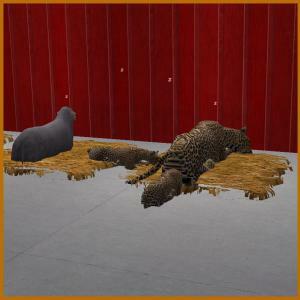 Buy the purchase sign under misc/pets and then purchase your leopards. I haven't done a video on these, but will try to do so soon. 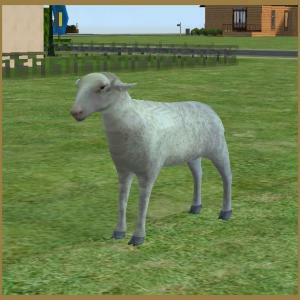 I have added some features to my sheep along with 2 new mesh types and new textures. I have reduced the number of times the sheep baa and reduced the sound level. You must purchase the sign under Miscellaneous/Pets then purchase the sheep that you want from the sign. New feature is shearing with produces a basket of wool, which you may sell, or purchase a ball of yarn and or a new outfit. (you must have my yarn ball in your downloads for the yarn purchase. 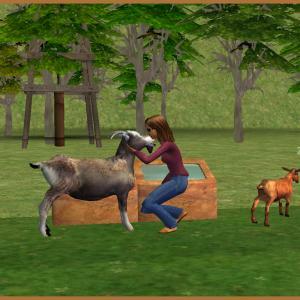 Known Issues: Sometimes the sheep walk away while being sheared and/or petting. I believe I have fixed all of the issues my former version had. 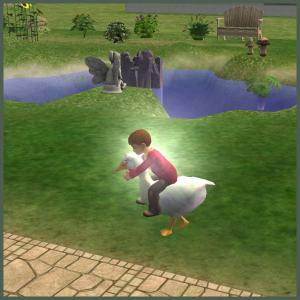 Toddlers now ride this in the proper direction no matter how you place it on the lot, the duck no longer disappears if you leave the toddler riding it when you save and leave your game, texture stays to what you have it set at, and no errors happen if you cancel the toddlers ride. I have also added two new textures. Duck sound and toddler laughter have been reduced. Toddlers gain fun, physical fitness, body skills and enthusiasm for nature. The main file the duck is white and I've included three recolors. You find it under Knowledge/Exercise for $250. You no longer get the error "undefined transition" if you cancel the child riding on the bike. 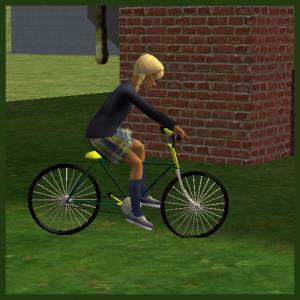 The bike no longer disappears when you save your game with a child riding it. The bike no longer reverts back to the main texture. Children gain body skills, fitness and fun with this bike. The free time version gives enthusiasm for exercise. Found under Knowledge/Fitness for $250. 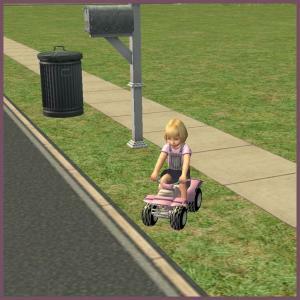 December 31, 2013 - I found the issue that caused the toddler to go into a corner of the lot when returning to a saved game. That issue is now fixed. Please redownload and replace the files. December 28, 2013 - Added Version for those who do not have Free Time. Please download the file BecksRideableTricycle-NoEP.zip. per request for Stefy89. 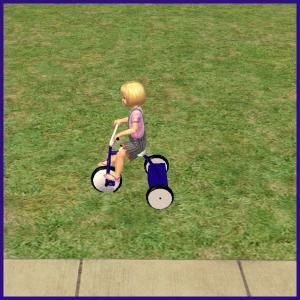 Another of my animated items updated with new animations, trike no longer disappears when you leave toddler on it when leaving your game. (there is an issue though - see video below). Textures no longer revert to the main texture. I was not successful in getting the wheels to go around, but I do think the animations give the illusion of the toddler actually riding. (Custom animations are really not easy). Found under Knowledge/Exercise for $50, with 5 different texture options. 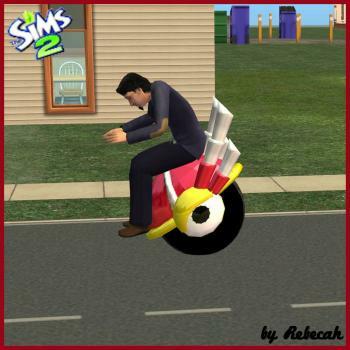 This was the first rideable item I created several years ago. I have totally upgraded it with new custom animations. No errors and textures stay. Found under Knowledge/Exercise for $250, with 4 different texture options. Toddlers gain fun, body skill and enthusiasm for exercise.